Chinese New Year is the longest festival in the Chinese calendar. May this year be an auspicious start for you, your family and friends and let us fill our houses with red to let luck reach to all of us. 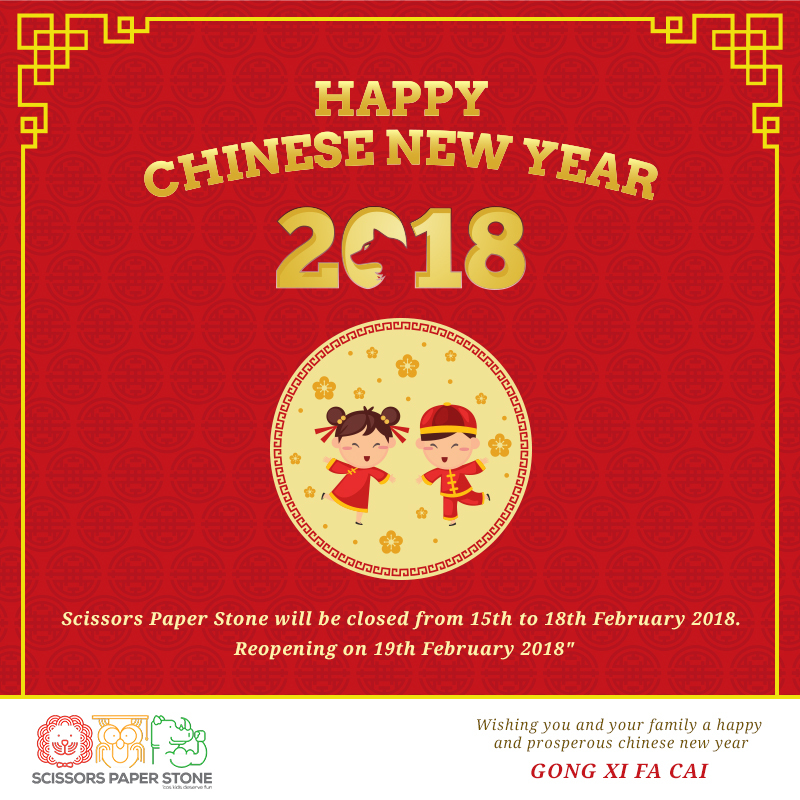 We will be closed from 15th to 18th Feb 2018.